This is a practical, two-day hands-on class that will introduce you to the use of digital video cameras, audio equipment and the editing software involved in the process of creating your own short films. On day one you will hear about the 5 stages of do-it-yourself video production, including: Video Strategy, Pre-Production, Production (shooting the video), Post-Production (editing), and Sharing the video. You will then be divided up into small groups of 2-3. Each group will be guided in shooting their own short video of an activity at the BARN. You may use your own equipment and/or the new equipment recently purchased by the BARN. On day two you will work with your small group to put your video together, including: importing the media shot on day one, editing, and fine-tuning visuals and sound. Day two will end with you showing your video to the other small groups and discussing next steps. Video cameras will be provided, but feel free to bring your own cameras or smart phones. You will be required to bring a 32 Gigabyte SD card for video recording. 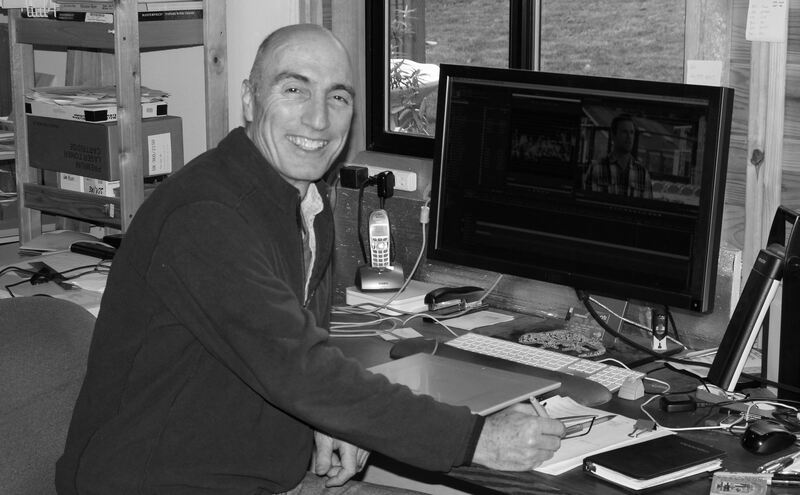 Laurance Price studied film and TV at Tel Aviv University and has been active in the world of video ever since. From training community television activists in Israel to distributing short films in the major European markets, setting up film festivals to running his own production company in East Africa, working on research videography at Microsoft, to producing an annual series of documentaries for the British Government, has all lead him to a place where he can finally share some of what he has learned. He is delighted to run a short and very practical course on video at our magnificent BARN. Dave Bristow has toured the world as a professional musician and synthesizer demonstrator teaching courses on synthesis and related acoustics in Europe and the USA. More recently he directed a non-profit community music school for four years on Bainbridge Island, and now spends his time teaching electronic music production and synthesis at Shoreline Community College playing piano with Redshift Jazz Quartet, and experimenting with Video Game design and virtual reality. John McKenzie is a wearer of many hats. For 25 years he managed high-tech manufacturing operations then applied lessons learned from industry to coach and facilitated executive child welfare teams in strategic planning and change management in 25 states across the county. Now retired he spends much of his time producing videos for non-profit organizations here on the island. He is a self-taught videographer and editor who’s videos have been selected to be shown at the Bainbridge Island Lynwood Film Festival.